Single-sided, so there's no need to turn! 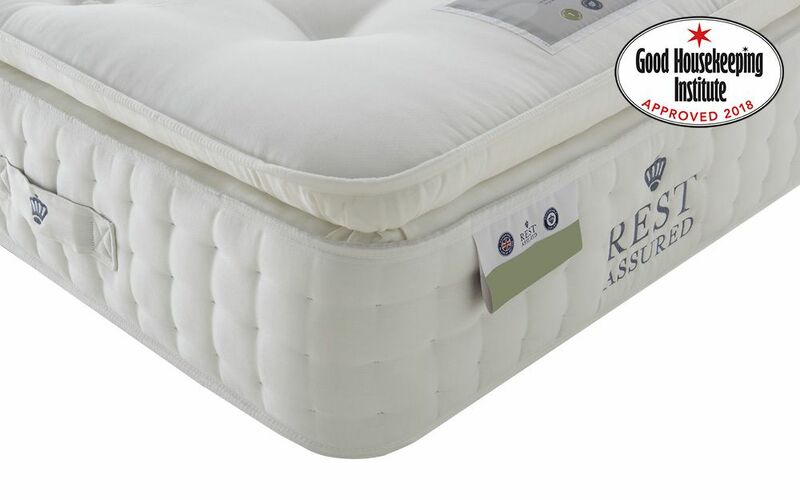 The Rest Assured Knowlton 2000 Pocket Latex Pillow Top Divan is a wonderfully elegant, handcrafted divan set. 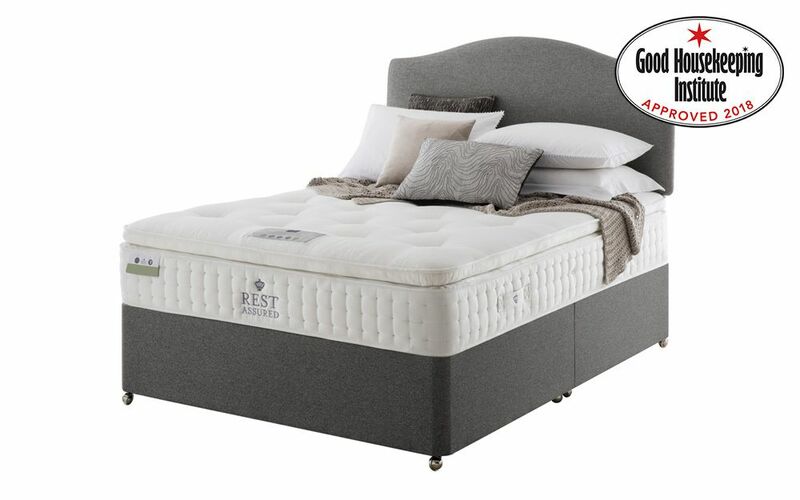 A sturdy divan base is paired with a high-quality pocket sprung mattress for a fantastic night's sleep. The Knowlton has been approved by the Good Housekeeping Institute in 2018 for outstanding performance. 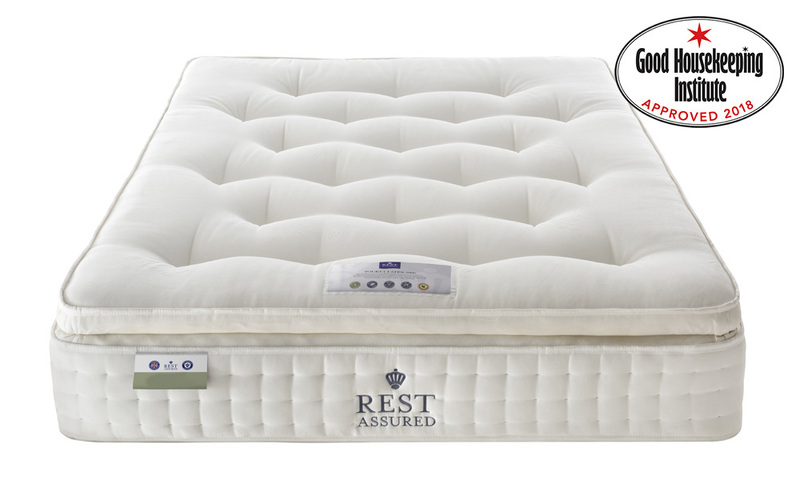 It boasts 2000 responsive pocket springs that react to your body shape and absorb any movements during the night. No more disturbances from your partner turning over! 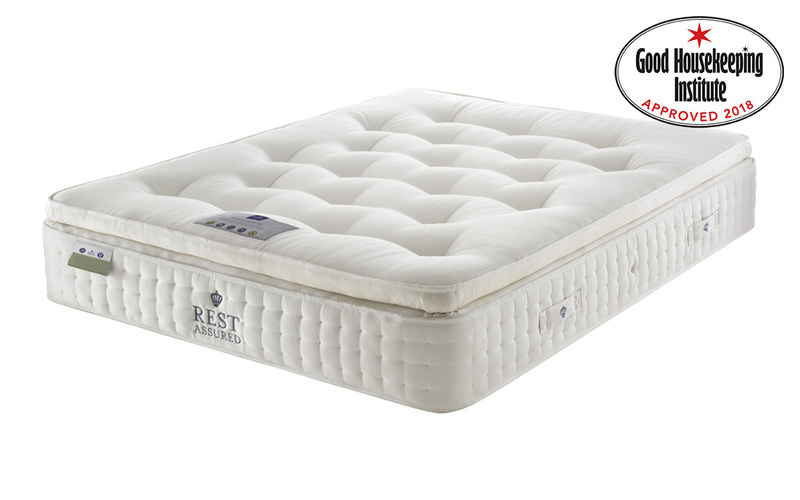 The luxurious pillow top is filling with a sumptuous layer of pressure-relieving natural latex. Latex provides personalised comfort and moulds to your body shape, for a sleep tailored just for you! 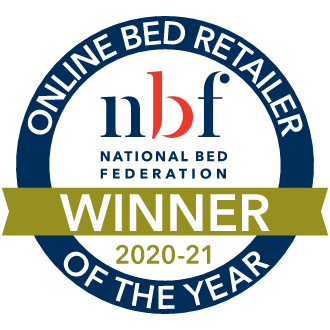 This mattress carries a firmness rating of medium, meaning it's a great all-rounder and provides just the right amount of comfort and support. 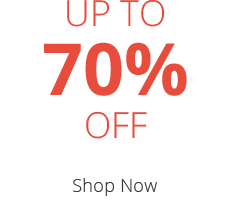 The Knowlton is also hypoallergenic and has been approved by Allergy UK. 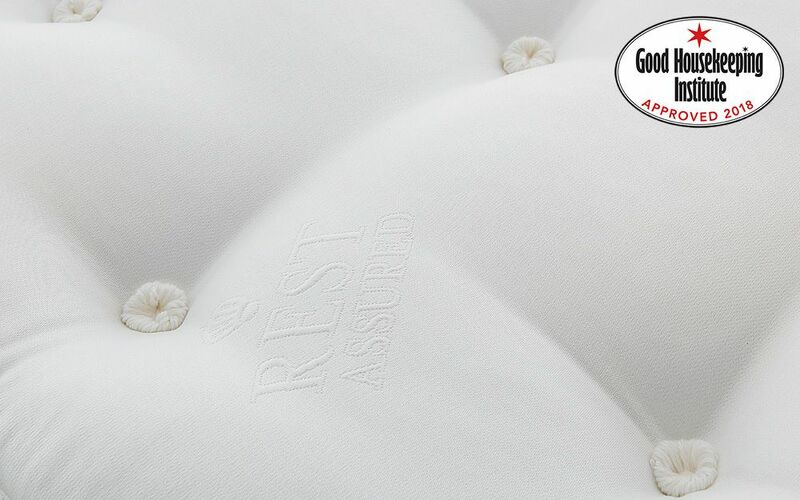 Innovative Purotex capsules have been distributed throughout the inner layers of the mattress. Purotex is a natural anti-allergy agent that combats allergens, dust mites and excess moisture. 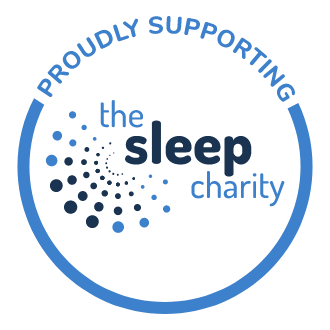 Enjoy a fresher, cleaner sleep every night with this award-winning technology. Although this mattress is single-sided and there is no need to flip it over, we do recommend rotating your new mattress from top to bottom once every three months to ensure even wear across its surface. Built-in handles make this job a breeze! The divan base is available in a choice of neutral colours, to blend seamlessly into your bedroom and create a calming space. You can also select from several handy storage options to really optimise your space, including integrated drawers or a half-opening ottoman base. Sturdy castors have also been included for easy movement. Discover your best night's sleep ever with the Knowlton divan! The sivan is very well finished and the storage is a very good size and easy to access. I ordered a half ottoman with 2 half draws. Very good mattress. Well made and supportive. After almost ten years on memory foam only, these springs and latex feels like heaven. My neck pain is gone and I wake up totally rested. Latex top doesn't create such lovely sensation as geltex, nevertheless, worth it's price!